When Jesus was here on Earth, He spent three years teaching us how to love people and how to relate well to people. I want to let you know about one of the secrets to success in ministry or in the marketplace. It doesn't matter whether you teach kids in school, whether you own a business; whether you sell cars; whether you're a pastor; whether you're a musician; whatever it is that you're doing, one of the greatest secrets to success is learning to love people. Let me tell you something, there is something more important than your technical expertise. 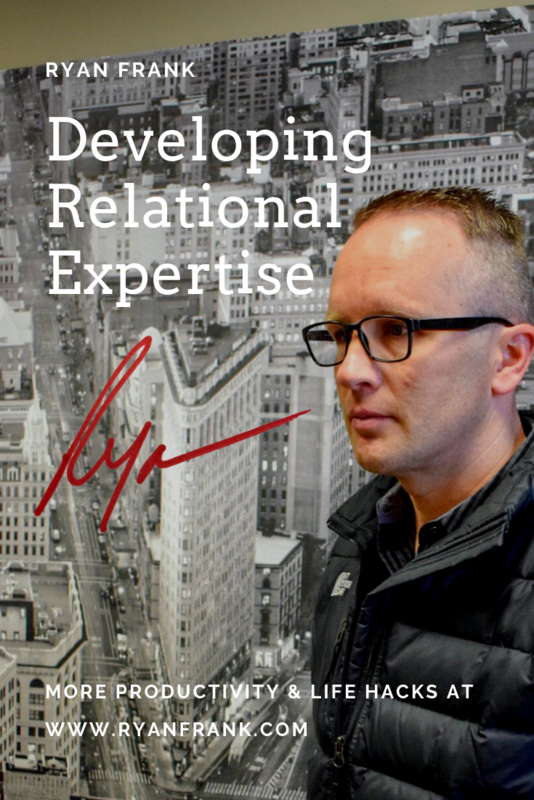 Now technical expertise is important, especially if you work in a technical field, but what is more important is your ability to relate to people: your relational expertise. If you have followed my teaching for very long, if you've ever attended one of my seminars or my workshops, or you've read one of my books, I guarantee you that you've read this before or heard me say this. That a majority of people who fail in their life work fail because they lack good relational skills. It's not because they don't know how to do their job; it's because they lack good relational skills. It's not because they don't have the credentials; it's because they lack good people skills. It's not because they don't have experience; it's because they lack good people skills. Do you get my point? It's been said that if you want your ministry to shine, if you want your job to shine, if you want your career to shine, you have to polish your people skills. Jesus spent three years during his earthly ministry (what is recorded in those Gospels) teaching us how to relate to people and how to love people well. If you and I would just learn to do this and do this better, just to love people and love the way Jesus loves people. "How do I do it, Ryan?" That's a great question, I'm glad you asked. I'm gonna tell you; it is super simple. It can be as simple as a smile. It can be as simple as asking someone, how they are doing? It can be as simple as listening. It can be as simple as praying for somebody, as meeting a need, a felt need. It can be as simple as giving someone a hug. It can be as simple as telling someone that you are there for them. It can be as simple as faithfully being there week after week after week. Just love people. Look at how Jesus loved people. Think about those in your life that love you. How can you love others and love others well? My desire for you as you read this today is that you will find great success. Whether you work in the secular or the sacred, the marketplace or the ministry, whether you are new at this or you've been doing it for years, I want you to succeed. I want you to be happy and find such fulfillment in what you do. One of the greatest secrets to your success, friend, is learning to relate well to people and to love people. I have seen so many people in my adult life that have the credentials, or you could say they have the pedigree, and they have the education, but if you have all that and you lack the ability to love people and the ability to relate well to people, it is going to greatly cost you in your ministry or in whatever it is that you do day after day after day. So do this for me: begin to pray every day, "God, would you give me a greater capacity to love people? Would you lead people into my life that need love? Would you put someone on my heart today that I can love? And with every interaction I have, help me to love more. Help me to love like you love."